Data abound at the Bank of America Chicago Marathon. 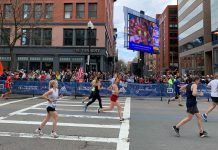 While runners track numbers related to their pace and distance, those in Forward Command, the heart of the marathon’s organization, keep an eye on logistical statistics related to the event’s operation: how many runners have passed each 5K mark? Where are participants on the course? What sort of medical resources are available at various aid stations? Thanks to a grant from the National Science Foundation, students in Northwestern University’s McCormick School of Engineering are harnessing the power of this data to help the race shape its management. Since 2013, Professor Karen Smilowitz, professor of industrial engineering and management sciences at Northwestern, and Northwestern students have worked with the Bank of America Chicago Marathon to study medical logistics and preparedness in the marathon specifically, with the goal of using that information to apply it to other mass participation events. The work done by Smilowitz and her students particularly focuses on medical tracking. Medical tents require volunteers to scan in and out, and along the course, tents use handheld tablets that automatically send information to Forward Command in real time. This helps the race and the Northwestern team know the location of resources and make adjustments if needed: for example, if one medical tent needs more staff, or which medical tents have the most traffic. 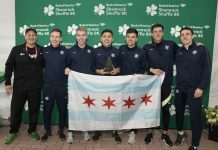 As the partnership has continued, however, the team from Northwestern has started to create race simulations that can assist those in operations with predicting how the race will progress. 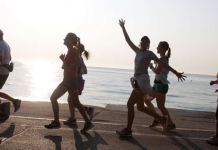 Though race day data help those in Forward Command at the Bank of America Chicago Marathon the most, Smilowitz and her team have also worked with the Houston and Boston Marathons. Smilowitz and her team have a couple years remaining on their grant and hope to continue this sort of data analysis moving forward.